Unlock Samsung Galaxy S4 Mini - Safe IMEI Unlocking Codes for You! Unlock Samsung Galaxy S4 Mini Handset! In case your Galaxy S4 Mini doesn't ask for the code and there is no designated field to enter it, please DON'T PLACE ANY ORDER, contact us first for support. Get unlock your Samsung Galaxy S4 Mini smart phone by using our safe and fast solution. The process is easy and 100% Guaranteed to work! Our codes works for the latest models including Samsung Galaxy S 4, Galaxy Note III, Galaxy Grand, Galaxy Round and many more! We are able to unlock the most GSM Carriers including At&t, T-Mobile, Rogers, Fido, Bell, Telus, Vodafone, O2, Three, Orange and many more. We use the same method Networks and Carriers use to unlock your device and charge you $50 or more! How to Unlock Samsung Galaxy S4 Mini Phone - Tutorial! can you provide code for galaxy s4 from USA T-mobile? it is possible to unlock my samsung handset from Argentina Miniphone? 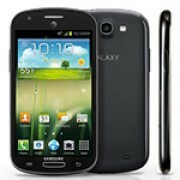 I need code for my samsung galaxy from Bell, Canada. Is that possible? I need help to unlock my phone from US Verizon. I need help to unlock my Samsung Galaxy S4 Mini mobile phone? Im hoping the code will be send in my email right away after I request it! I need code for my Samsung Galaxy S4 Mini smart phone from Vodafone Hungary. Is it available? Thanks for the great help support and easy process. Hi Ariette! Thank you for your kind words and for being our client. Regards! Can you offer discounts if I order more than 1 code? Hi Ronald! Yes, we have discounts available if you order more than 1 code. Please email us for more details. Thank you! Does it cost much to request codes for Samsung Galaxy S4? Hi Ester! Yes, we can get a code for your device. You can select any network from USA. Usually the codes can return within 10 minutes. Thank you! Do you have available unlock codes for Samsung Galaxy S4 Mini from tmobile Italy? Hi, Yes, we can get the codes for any European network. Please fill in the form to find out the price for your IMEI no. Thanks! Can you unlock it for Orange? I am from France. Hi, yes, we are able to get the unlock codes for your device. Please use the form for more details. Thanks! Hi, Can you unlock Galaxy S4 mini from Austria Mobilcom 1? Hi! Yes, we should be able to unlock this device.Please fill the form for more details about the price and the time needed! Thank you!